Just shake you phone to know what time is it. 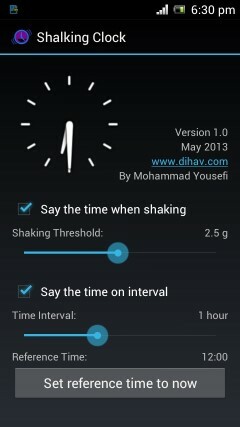 This app converts your phone to a talking clock that says the time when you shake your android device, or on certain time intervals. It is very useful when you wake up from sleep and want to know the time without opening your eyes. 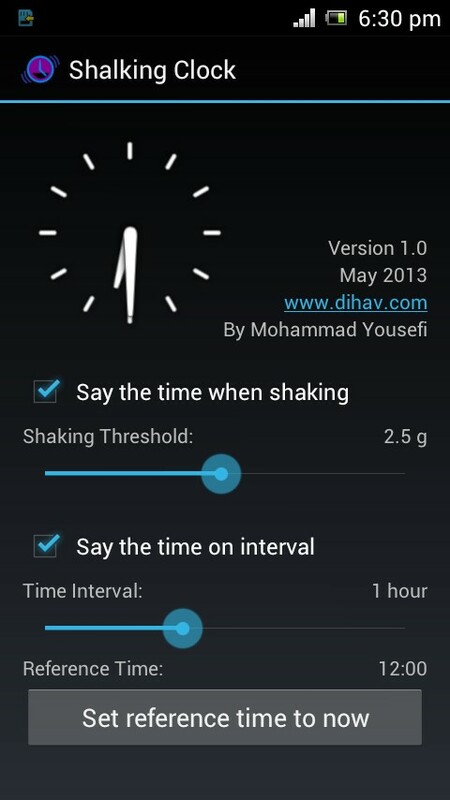 I made two versions of this app one uses your device text-to-speech engine to say the time in your native language that is installed and activated on text-to-speech. 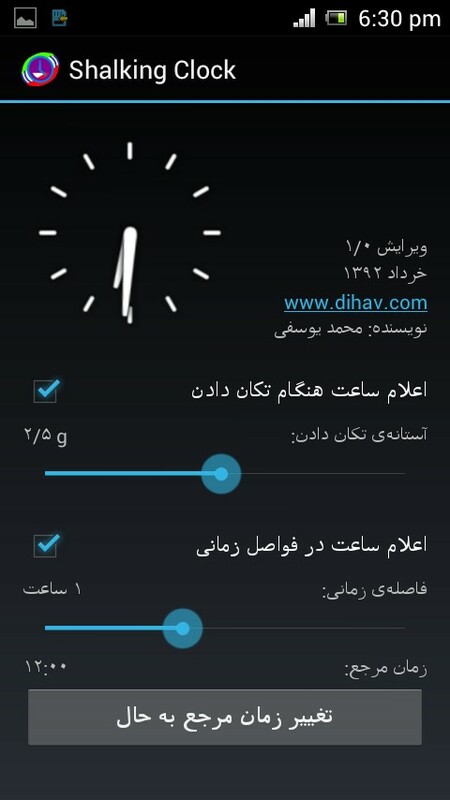 The other one uses English text-to-speech to say the time in Persian language, and this is because there is no Persian text-to-speech. 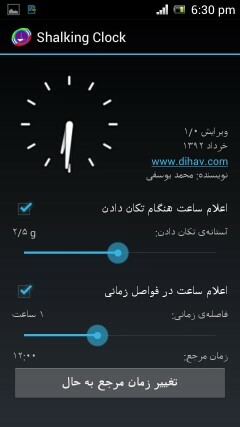 So the Persian version says the time a little funny, but it can be understood. Note that in some devices acceleration sensor does not work while the device is asleep and so the shaking function will not work. This program is made by Eclipse. If you want to buy the source code, click one of the below links to add it to your shopping cart. After making the payment the source code will be sent to your email address in 2 days.